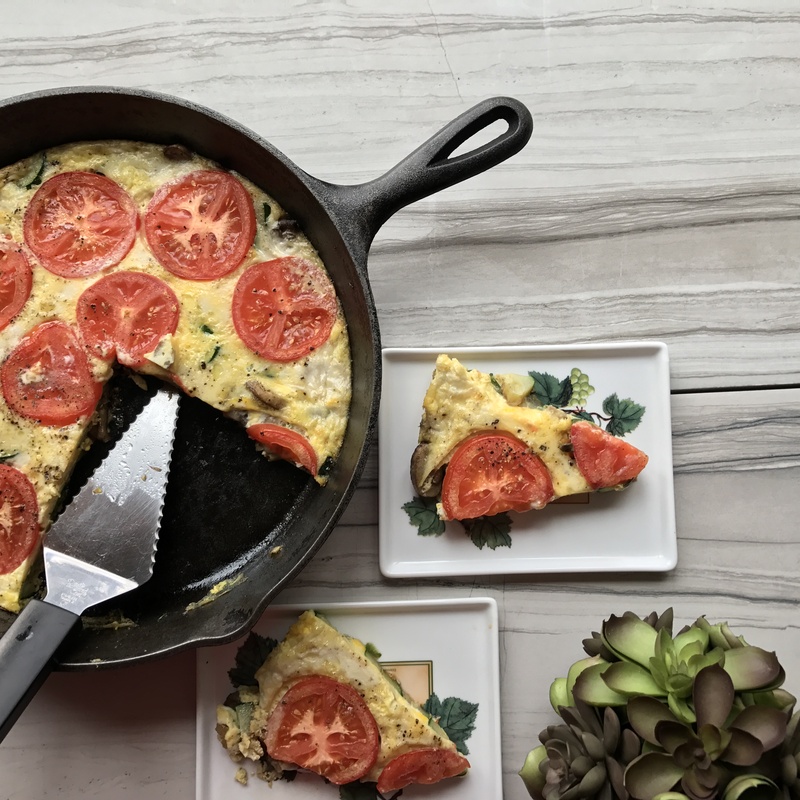 A quick and easy way to get a healthy breakfast on the table for your entire family in 30 minutes. Heat a large cast iron or oven proof pan on medium heat, melting the coconut oil. Add onions, zucchini and mushrooms. Saute 5-6 minutes or until slightly soft. Add garlic, saute an additional 2 minutes. Add spinach and saute until slightly wilted. In medium bowl, whisk eggs, coconut milk, salt and pepper. Pour into pan over vegetables. Remove pan from heat and layer sliced tomatoes on top. Sprinkle with additional salt and pepper (optional). Place in oven and bake for 15 minutes or until done. Serve warm.